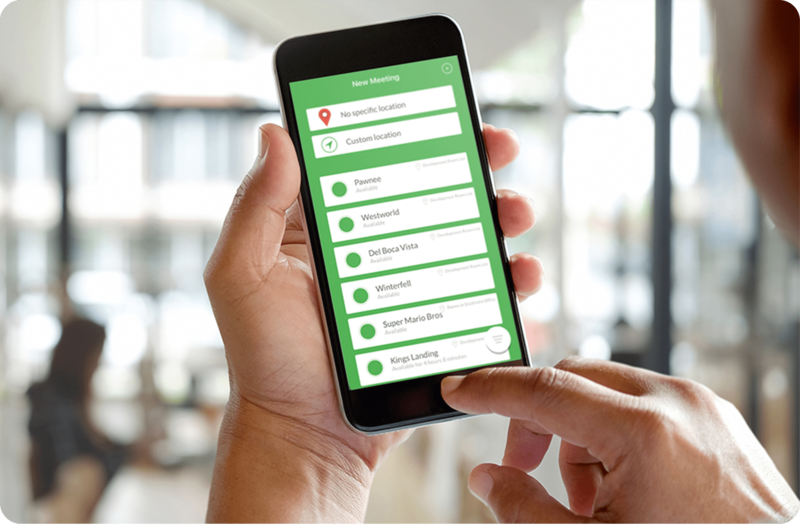 Scheduling your workdays on the go. 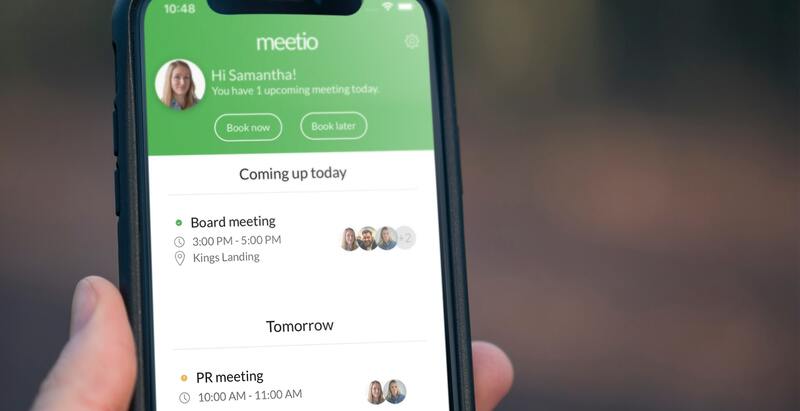 Meetio scheduling app makes your workday a whole lot easier by letting you schedule meetings and meeting rooms – all at once, from wherever you are. 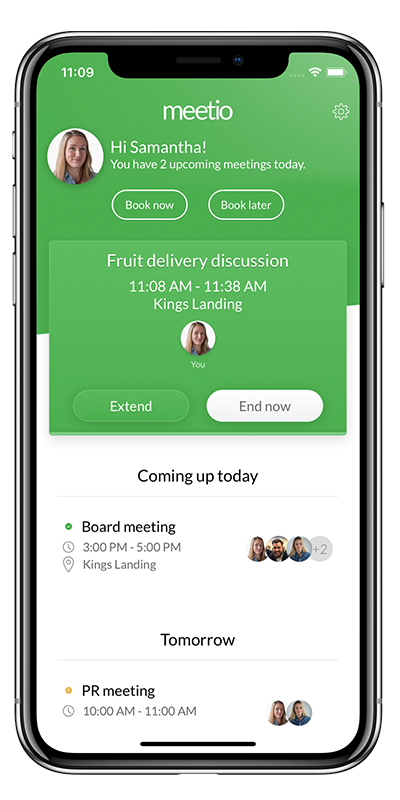 Creating meeting invitations and scheduling rooms from your standard email client, takes a lot of valuable time from what you actually should be doing. Meetio App takes away all of that hassle. 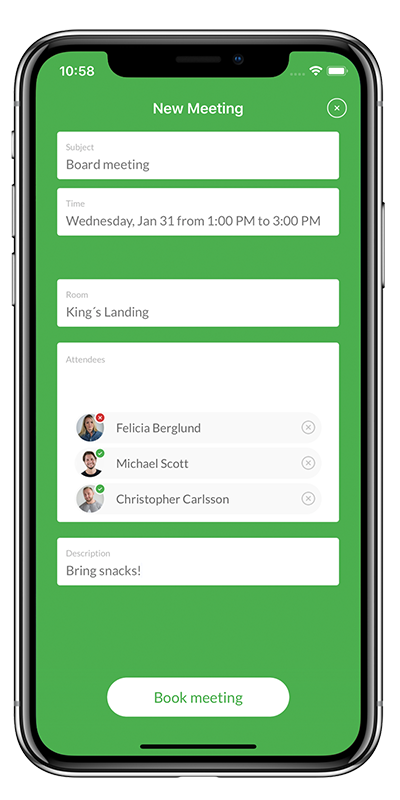 Forget about searching the office for available meeting rooms. 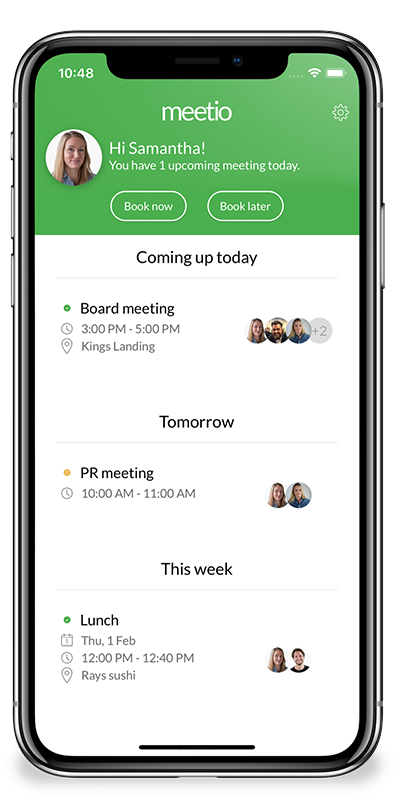 A complete overview of free meeting rooms are just one click away – in the palm of your hand! Let's talk! 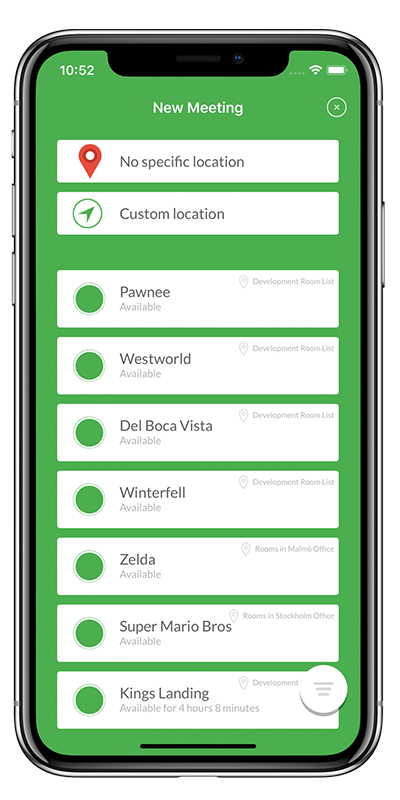 Schedule a free demo right away. 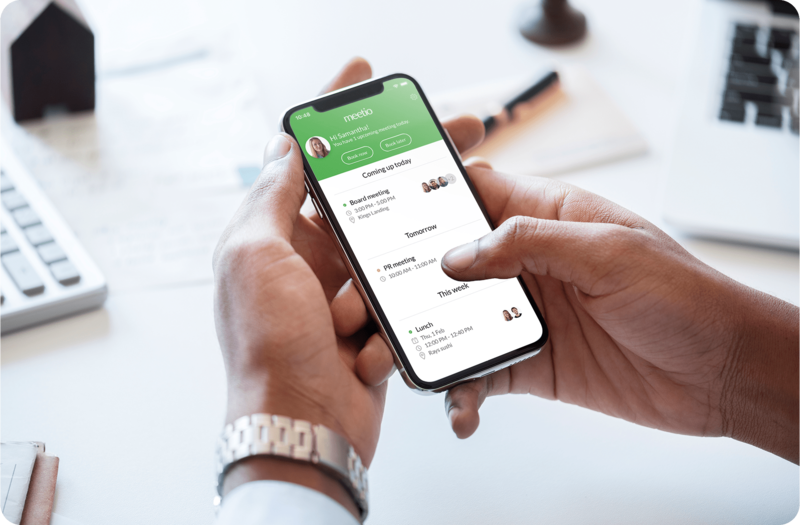 Meetio App connects to your existing calendar. All you need is an Office 365 or Exchange account with access to your organization's room resources. Copyright © 2019 Meetio. All Rights Reserved.